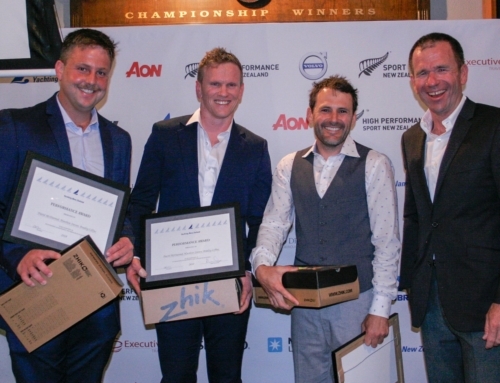 It’s great to see that 10 RAYC Members won Yachting New Zealand Awards this year for the achievements and services. The awards will be presented on Friday 25th November. Winning a service award is Commodore Sally Garrett for her tireless work supporting all the sailing activities at the club. Sally is a true asset to RAYC. Here is what YNZ posted about our Commodore, Sally Garrett. A tremendous amount of expertise shown in race management areas is reflected in Royal Akarana Yacht Club vice commodore Sally Garrett’s nomination for a 2016 Yachting New Zealand service award. An accomplished sailor as well as a capable race official, Sally is in charge of all sailing activities at the Auckland club, the most recent of which being the 2016 ANZ Sail Fiji ocean race. The race to Fiji from Auckland saw a tireless effort to ensure all yachts competing met safety standards, as well as dealing with entries, customs, sponsorship requirements, organizing volunteers, and race documents. The high standard in which Sally carried out these tasks is said to epitomize the way she oversees all sailing activities at the club including club racing, national championships, and international events. 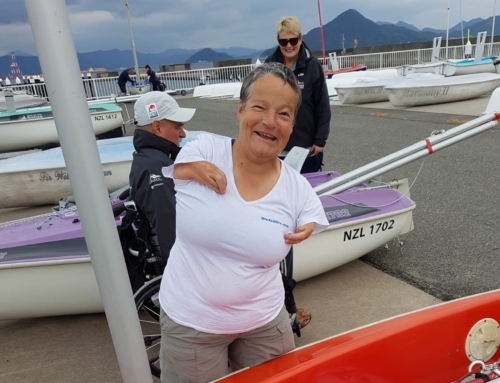 Yachting New Zealand heartily thanks Sally for her services to the club – particularly this year with the big job of overseeing the ANZ Sail Fiji Race.